Senior safety Anthony Sciarroni earned Second Team All-Ohio honors for the second straight season after finishing with 60 tackles and leading DeSales with 6 PBU. Sciarroni joins Derrius Mullins (2015, 2016) as the only Stallions to earn second team all-state recognition in two seasons. 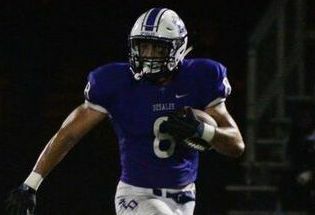 DeSales sophomore Quintell Quinn was recognized as Special Mention All-Ohio after recording 88 tackles from his linebacker position.